Online business lenders have become very popular in the last 3 to 6 years. Every single new lenders popping up in the financial technology industry. Not every lender is lending. As a small business you need to make sure that they are funding businesses. Many lenders have ran into financial trouble. Aside, from the challenges that lenders have in staying open there are great benefits to online lending. One of the biggest benefits of online lenders is the speed in which they can approve or decline a small business loan. Banks can take weeks and even months in processing a loan from end to beginning. An online lender can deliver a credit decision within minutes and even fund the loan the next day. Aside from speed, online lenders request less paperwork to process a loan. Last but not least, online lenders are utilizing other platforms to perform due diligence on loan applicants. Before, many verifications were conducted in person. Today, online lenders with a social security number and a business tax identification number can obtain endless amount of information on a potential borrower. Many small business owners don’t have the time to gather up paperwork, drive to bank and have a one to three hour meeting with a banker. Small business owners are busy playing different roles at their business. 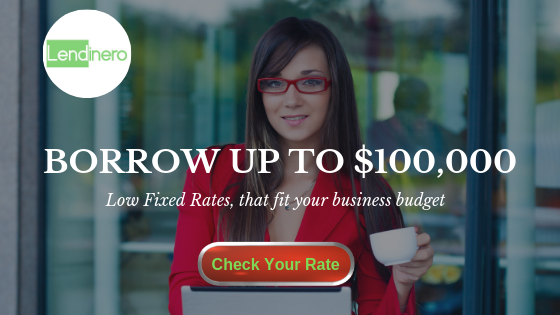 Online lending provides great conveniences that save time and money to small businesses. Most small business owners work 8 to 12 hours per day. Believe it or not they don’t have time for breaks. Most small business owners play different roles at their companies from payroll manager, to marketing, to dealing with clients. Having to take time off to apply for a business loan in person can become a challenge for most entrepreneurs. In fact, we have entered the tech era. Many entrepreneurs are becoming more tech savvy and are taking the time to use online platforms for other functions. Many industries are using other platforms to make purchases, sales, orders, and transactions. This has enabled small business owners to become comfortable with online lending.